finding it very difficult to find any information on them. and they are front ported. Any help/information would be greatly appreciated! 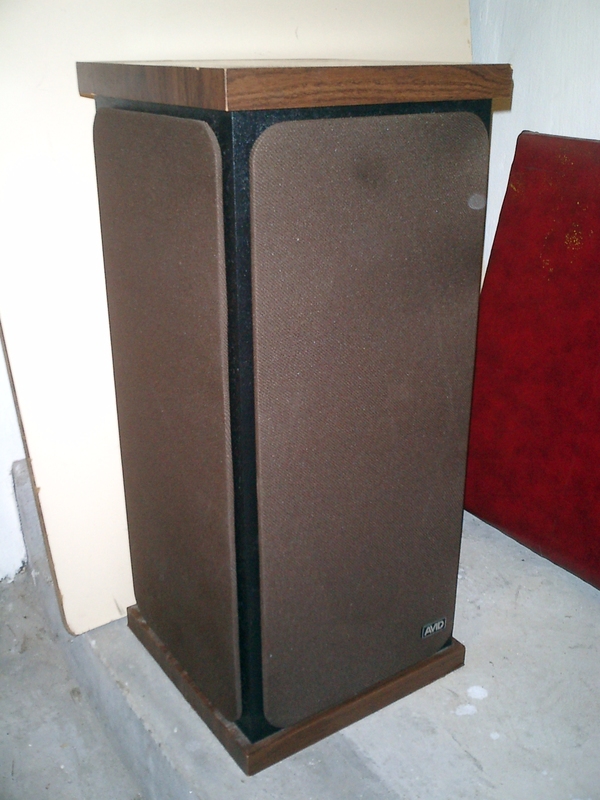 I also just bought a pair of AVID 101 speakers from a thrift store today. I vaguely remembered the AVID brand from back in the day but wasn't sure about the quality of them. 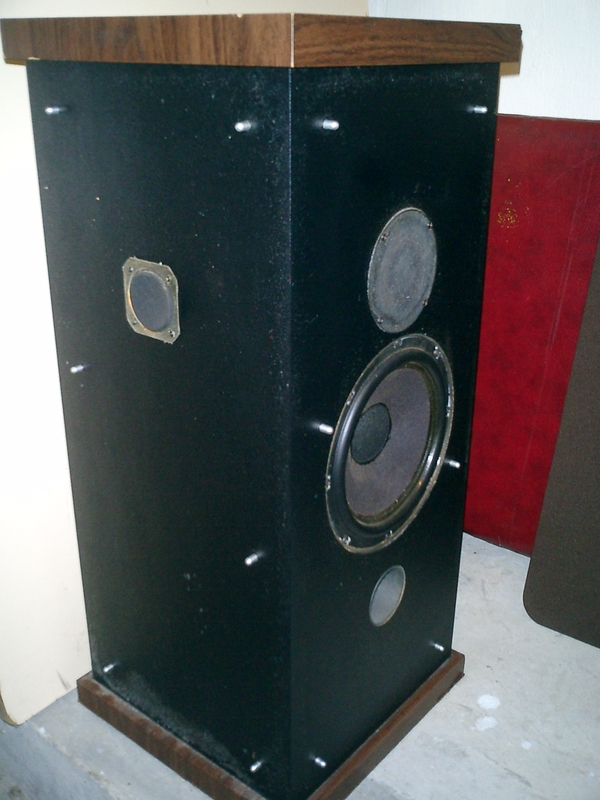 I just hooked them up and am absolutely blown away by them - they are very accurate speakers. 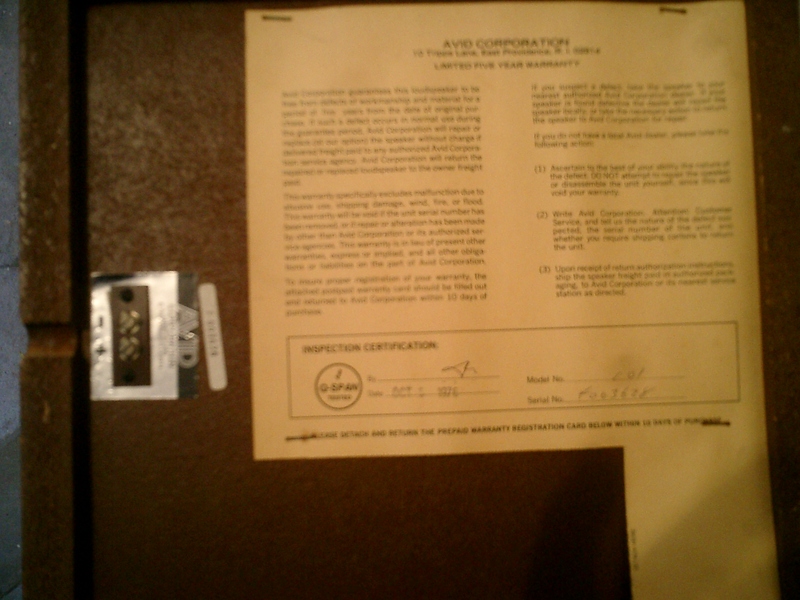 The speakers have warranty certifications stapled to the bottom of them. They have company information but no specs. I don't know if any of this information will help you but if it does I would be happy to send you a copy of them. Hi and Thanks for the offer, but I do have the warranty card on the bottom of the speakers. I might take some photo's of them and post them on the website to see if they jog anyone else's memory?? and I noticed on a range of speakers they had alternate colours you could choose from. I thought I might up load these pics to give a clearer picture of what I am talking about. Here they are in all their glory.. poo brown covers and all! Great pics! I have a pair, though mine are solid black, with black grills. Warranty cards are still attached to the bottom (were never sent in!) I have had them since 1978 when I got them for a good price used (can't remember exactly how much now) but I absolutely love them. They have been in use daily ever since, and currently are in my family room. 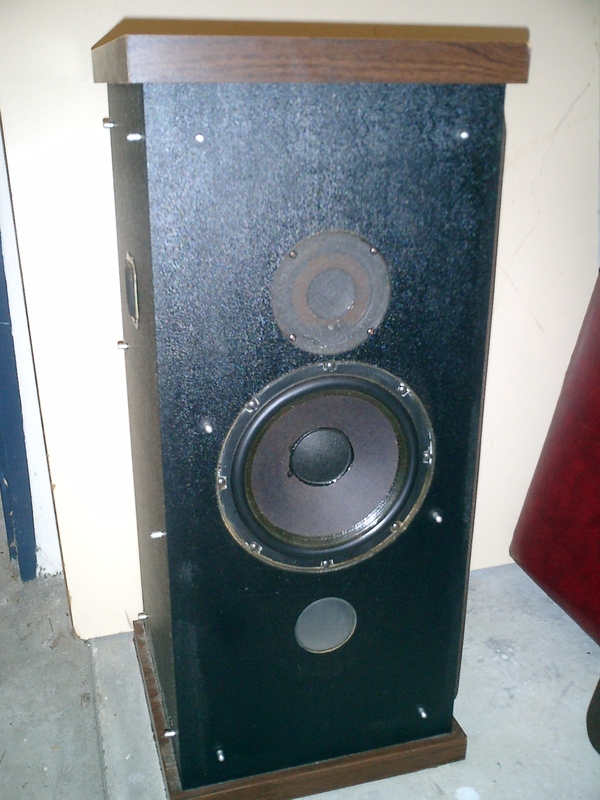 They have good bass, and go quite loud without distortion. I think you will be happy! Unfortunately, I have no additonal information about the company. I couldn't even find any references to them on the net until the past couple of years. Enjoy!